Since 1999 MountainWorks Software Incorporated has been providing software, engineering, and science communication services to clients ranging from startups to Fortune 500 companies, from non-governmental organizations to federal agencies. Our firm specializes in providing value-added input to multiple science and engineering sectors, including a) App development on iOS and Android, b) Web application development, c) Science Communication ranging from idea generation, to proposal and report writing, to technical meeting facilitation, d) Chemical and Environmental Engineering for climate change, sustainability, and green engineering issues, and more! Introducing CROSS COUNTRY SKI MONTANA! Simple to use, all inclusive, no connection needed--your all-in-one guide to XC skiing in Montana! Answers critical questions, such as--Is skiing free or is there a fee? Is the area groomed and if so, for classic, skate, or both? Who does the grooming? How do I get latest grooming report? How many kilometers (miles) of trail exist? How do I get to the area? Are dogs allowed? 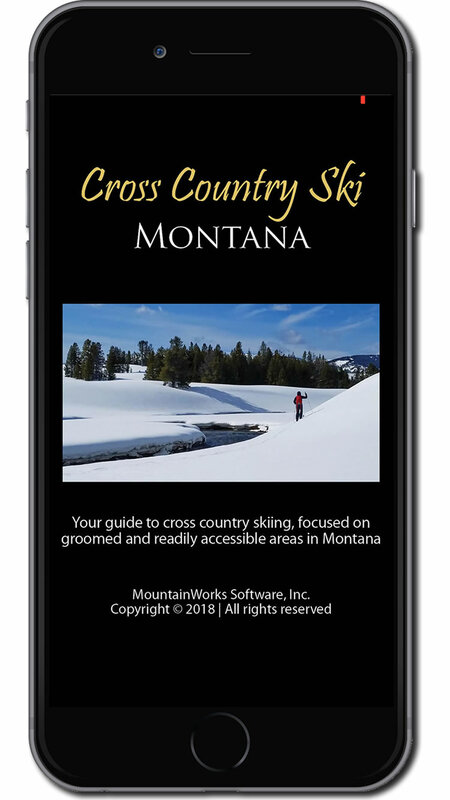 Groomed and ungroomed, fee and free areas described--CROSS COUNTRY SKI MONTANA seeks to describe every groomed XC ski area in Montana, plus a large number of the state’s most popular ungroomed trailheads. Highlights the Montana ski community--Info on local ski clubs, good folks who volunteer to maintain, care for, and groom many of the state’s treasured XC ski locations. In addition, we connect you to local ski shops. No WiFi or cellular connection needed! No separate map purchase or dowloading maps required--The app is fully self-contained and and works with your smart phone or tablet’s GPS and Google Maps. Highly intuitive—We want you to spend your time XC skiing, not learning how to use our app! Check out all the features here! Simple to use, all inclusive, no connection needed--your all-in-one guide to hunting Montana! Every document for every BMA in the state of Montana is included! You do not need to be connected via WiFi or cellular to use MONTANA HUNTING ACCESS 2018! Boundaries for BMAs, as well as all public and private lands are included. The app works with your mobile device's GPS and a beautiful mapping interface so you can pinpoint yourself relative to land ownership boundaries (BMA, public or private lands). Highly intuitive—We want you to spend your time hunting, not learning how to use our app. Simple to use, all inclusive, no connection needed--your all-in-one guide to fishing in Montana! Fishing in Montana this year just got a whole lot easier thanks to MONTANA FISHING! Every Montana Fish, Wildlife & Parks (MFWP) fishing access site and campground is shown! Provides information critical to fishermen, including river and lake access points; river temps and flows; shuttle services and fishing shops near where you plan to fish; and more! Check out all the features here! No WiFi or cellular connection needed to use MONTANA FISHING! Highly intuitive—We want you to spend your time fishing, not learning how to use our app! No separate map purchase required, it's all here! Boundaries for public and private lands shown. App is fully interactive and works with the smart phone’s GPS. Since 2008 MountainWorks has led 25 and counting meetings of the Interagency Bison Management Plan (IBMP) Partnership. The IBMP is a cooperative, multi-agency effort that guides the management of bison and brucellosis in and around Yellowstone National Park. The partnership is made up of Animal and Plant Health Inspection Services, Confederated Salish & Kootenai Tribes, Intertribal Buffalo Council, MT Dept of Livestock, MT Fish, Wildlife & Parks, National Park Service, Nez Perce Tribe, and the US Foreset Service. MountainWorks efforts on behalf of the IBMP include meeting planning, meeting faciliation, web site management, report writing, and more. For more information on this fascinating group, see the IBMP website. 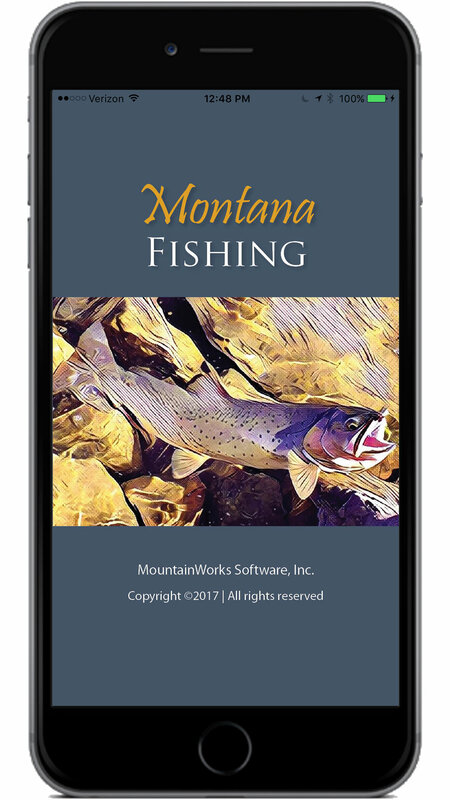 MountainWorks has developed more than a dozen mobile apps ranging from mobile field guides (see High Country Apps, a Mountainworks LLC) to precision agriculture (see Eagle Digital Imaging).